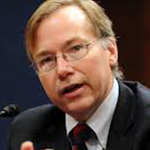 The impact of the digital revolution on democracy and freedom of the press will be the subject of “Press Freedom in a ‘Post-Truth’ Era,” a discussion to be held at 6:30 p.m. on Feb. 12 at Albertine, the bookstore and reading room at the French Embassy in New York City. Steve Coll, dean of journalism at Columbia University, and Bruno Patino, dean of sciences at the Po School of Journalism in Paris, will address such topics as the new pathways that social media and the Internet have opened for journalism, the difficulty of promoting increased freedoms for journalists and readers, and the risk of conflict and violence that are putting many journalists at risk. The event will be conducted in English, and is free and open to the public. For more information, click here. Applications are being accepted through March 8 for this year’s Don Bartholomew Award, which provides a public relations/communications or business school graduate student the opportunity to gain practical experience in public relations research. Sponsored by Ketchum Global Research & Analytics in cooperation with the Institute for Public Relations, the award is named for Don Bartholomew, SVP, digital & social media research, in Ketchum’s office, who died of cancer in 2015. The award consists of a $7,500 stipend and a 10-week public relations research internship at the Ketchum offices in New York during the summer of 2019. At the end of this experience, the Intern will produce a research paper intended for PR practitioners. The winner will receive a $2,500 grant for the research paper, after it has been accepted for publication by IPR. The winner will be recognized at the 2019 IPR Distinguished Lecture and Awards Dinner in NYC. 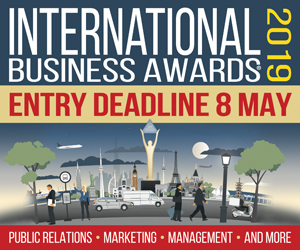 To find out more about the award, or to apply, click here. 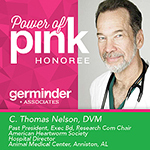 Germinder + Associates, which provides communications services for the pet/vet sector, has named Dr. C. Thomas Nelson as the last of its Germinder20 Power of Pink Honorees. Power of Pink is a storytelling initiative that is part of the agency’s 20th anniversary. It highlights agency founder Lea-Ann Germinder’s story of breast cancer survivorship as well as recognizing leaders who stories have inspired her. Each Power of Pink designation included a donation to a charity selected by the honoree. Nelson, a community activist as well as veterinarian, selected the North Alabama Bicycle Association Building Fund as the group to benefit from his award. Other charities to have received donation through the program include the Winn Feline Foundation, Missouri Humane Society and Purdue University College of Veterinary Medicine Scholarship Fund.